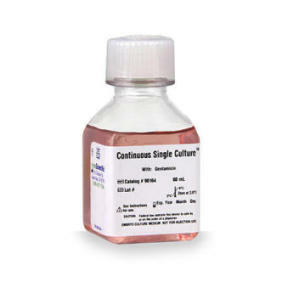 Continuous Single Culture™ product (CSCM) is a novel solution, designed for fertilization and embryo culture through day 5/6 of embryo development. CSCM is optimized to be used in an uninterrupted culture system without dish change or medium renewal. CSCM is bicarbonate-based and is designed for use in a CO2 incubator. 90164, 60ml, CSCM, require protein supplementation. 90165, 2 x 20ml. CSCM complete with HSA. Multipurpose Handling Medium™ (MHM™) is the first dual buffered solution that provides a safe and secure environment to maintain viability of gametes and embryos during manipulations under ambient conditions. 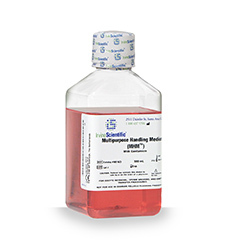 The MHM™ solution contains key amino acids and is formulated with a unique combination buffering system of HEPES and MOPS to maintain pH across a more broad range of temperature at room atmosphere, and support optimal cell growth. 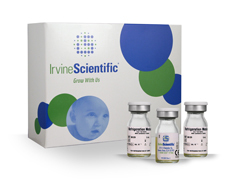 This buffered medium is for oocyte handling, embryo transfer, micromanipulation and gamete washing and does not require the use of a CO2 incubator. 90129 Refrigeration Medium, Test Yolk Buffer (TYB) with Gentamicin, 20 x 5 mL. Shelf life: 2 years from date of manufacture or 4 days in refrigerator.